Amazon Music Unlimited is Amazon’s premium music streaming service offering customers unlimited access to 50 million songs including the latest and greatest albums, and thousands of playlists and stations. Customers can stream or download songs to listen to offline – all ad-free. Amazon Music Unlimited customers have access to exclusive voice control on Alexa-enabled devices. With Alexa, you can control your music with just your voice. Simply ask Alexa for any song or artist you want to hear. If you don’t know exactly what you want to listen to, then you can ask Alexa to play something for a mood or occasion as well as from any era or genre. Prime Music is included with your Prime membership at no additional cost. It features over 2 million songs and more than a thousand playlists and stations programmed by Amazon’s music experts. On Prime Music, you’ll find the perfect soundtrack for your backyard BBQ, your morning run, or your evening study session. Play music on all your favorite devices and download to play offline. With Amazon Music Unlimited, you get all of the great features and functionality of Prime Music…and a lot more. Amazon Music Unlimited offers tens of millions of songs and thousands of expert-programmed playlists and stations, including the hottest new releases from today’s most popular artists. Amazon Music Unlimited’s vast catalog allows you to dig deep into the vaults of your favorite artists, enjoy the latest and greatest hits, and explore new genres and styles. Prime members can join Amazon Music Unlimited for only $7.99/month for a monthly subscription or $79/year for an annual subscription. Non-Prime customers pay $9.99/month. 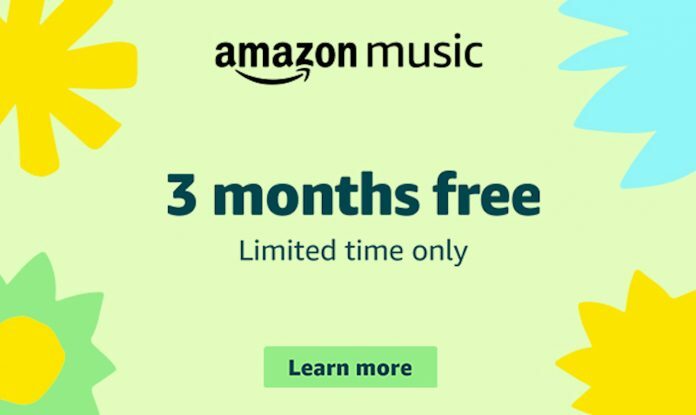 Offer valid for customers who are new to Amazon Music Unlimited only.